Venom Spin-off is a go! Preempting the success of The Amazing Spider-man 2, Marvel have just announced the first spin-off movie from the series, focusing on the alien symbiote Venom. Previously brought to the big screen in 2007 by Topher Grace in Sam Raimi‘s Spider-Man 3, the character was one of the only parts of the movie I enjoyed (that strut scene, anyone…? Jesus that was cringeworthy). 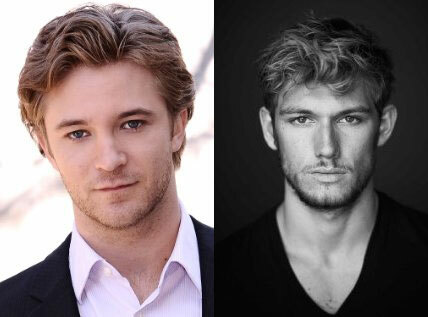 This time, Marc Webb is looking at younger actors (much like he did with Dane DeHaan playing Harry Osbourne in The Amazing Spider-man 2), and we have it on good authority that Alex Pettyfer (I Am Number Four) is in the running for the role, along with Michael Welch (Twilight)… I know who I’d rather get the role! All we got from the guys at Marvel was the following promo image, with just “2016” as the suggested date. Webb will be picking up producer duties for the movie, with Alex Kurtzman directing. Kurtzman will also pen the script, along with Jeff Pinkner, Bob Orci and Ed Solomon. It’s largely believed that Venom will be the first of the proposed spin-offs to develop The Sinister Six a bit further. Are you excited for this news? Or are you thinking that the character has been marred by the past appearance in Sam Raimi’s lackluster threequel? Comment, and make yourselves heard!